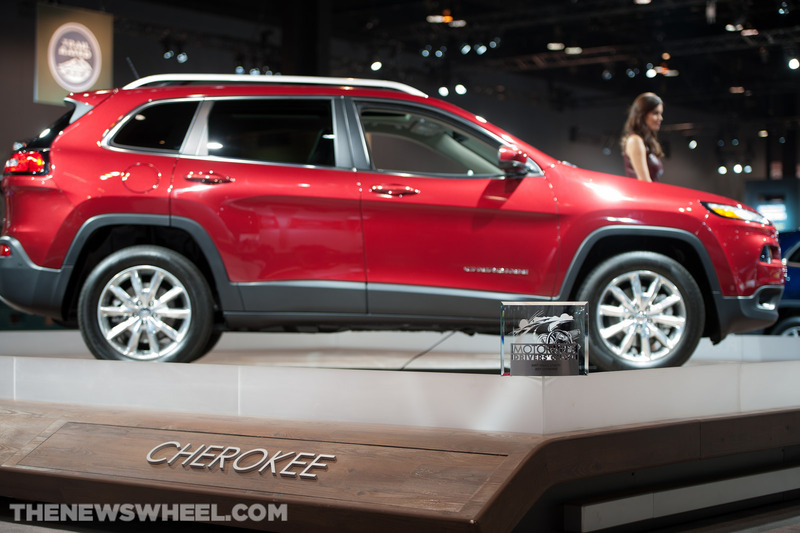 The 2014 Jeep Cherokee hauled home a MotorWeek Driver’s Choice Award last week from the Chicago Auto Show. Last week at the Chicago Auto Show, MotorWeek (TV’s original automotive magazine) crowned the Chevrolet Corvette Stingray as the Driver’s Choice Award winner overall, but several other automakers, including Chrysler, were able to scrape up a fair amount of best-in-segment awards. Chrysler MotorWeek Driver’s Choice award winners include the 2014 Ram 1500 and the all-new 2014 Jeep Cherokee. Specifically, the Ram 1500 took top honors in the Best Pickup Truck segment—for the second consecutive year—while the Jeep Cherokee dominated in the Best Small Utility category. These winners, along with all the others, were featured over the weekend on February 8th on PBS, but you can catch it again on Discovery’s Velocity Network on February 18th.